According to Connor Hughes of NJ.com, the New York Jets are still looking to trade defensive lineman Sheldon Richardson. Hughes also said cutting Richardson doesn’t make financial sense given his contract implications. This has been an ongoing storyline in New York all offseason. Given his versatility, Richardson could be a fit for just about any team in the NFL regardless of the front they use. In 2016 Richardson played 761 defensive snaps and split his time almost evenly between the edge and inside. 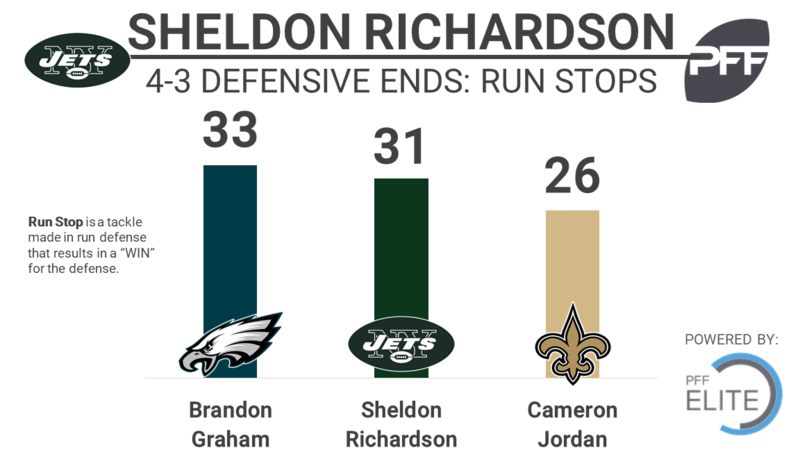 He earned an 83.3 overall grade ranking 19th among qualifying interior linemen and since entering the league in 2013 Richardson has been a top-20 player at his position in every season except for 2015. Last season, Richardson ranked third among 51 qualifying 4-3 defensive ends in run-stop percentage at 11.5 percent. His 31 total stops ranked second.